Crash is all set to be a guest character for 'Skylanders Imaginators' (on PS4 and PS3), and with today being the 20th Anniversary since the world first met the Bandicoot, Activision has dropped some special footage from the upcoming game. 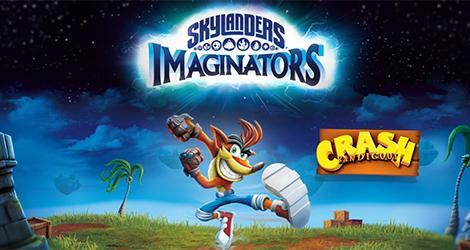 While the video shows Crash's appearance in 'Imaginators' and in the Thumpin's Wumpa level, it's important to remember that we've all already gotten to play as Crash on the PS4, courtesy of the Drake family. You can find the latest info on 'Skylanders Imaginators' linked from our Video Game Release Schedule.